In his review this morning, Michael Billington has – to borrow a phrase from Meat Loaf – taken the words right out of mouth. 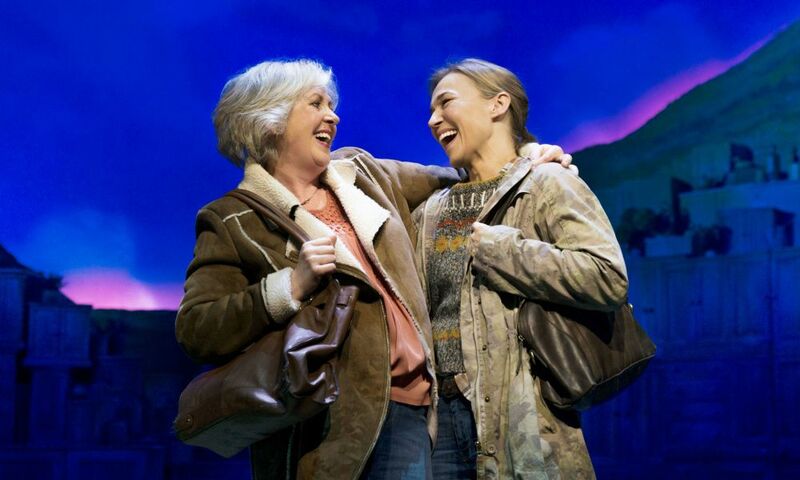 At last night’s West End premiere of The Girls, I was telling anyone within listening distance that, after already remarkable success as a film and a stage play (both also written by Tim Firth), this heartwarming story had at last, after 18 years, found its ideal form as a musical. My listenership for this pronouncement included several of the original Calendar Girls from the Yorkshire Women’s Institute – including the wonderful Angela Baker, whose late husband John Baker, inspired the daring fundraising idea – who were sat in the row just in front of me, all dressed in elegant black cocktail dresses topped their sunflower lapel pins. How many times have they watched their lives be played out onstage and screen? 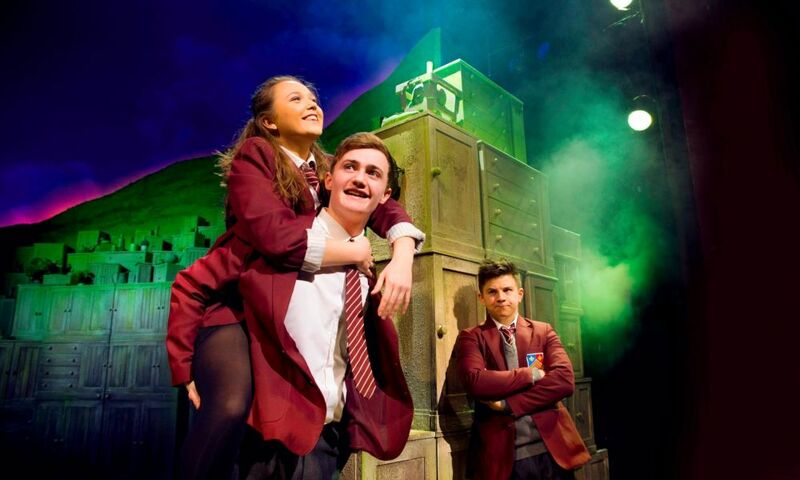 They’d lost count, but this week alone had already attended performances of the musical. Quite right that they, along with Angela and John’s two, now-grown children, took to the stage for the first night curtain call, along with the show’s producers David Pugh and Daffyd Rogers, and co-writers Tim Firth and Gary Barlow, who led the assembled company in another round of the song “Dare” from the show, as he’d done the evening before for the charity gala evening. 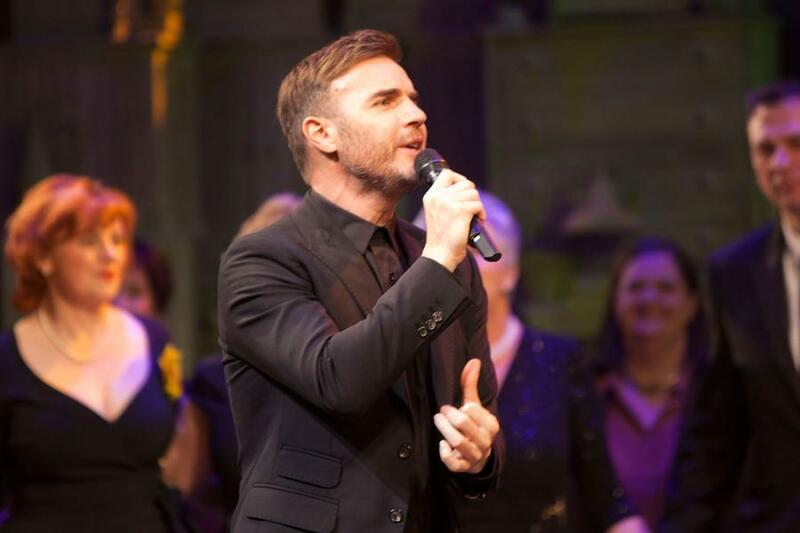 Every performance of The Girls raises more money for the women’s chosen cancer research charity, Bloodwise. 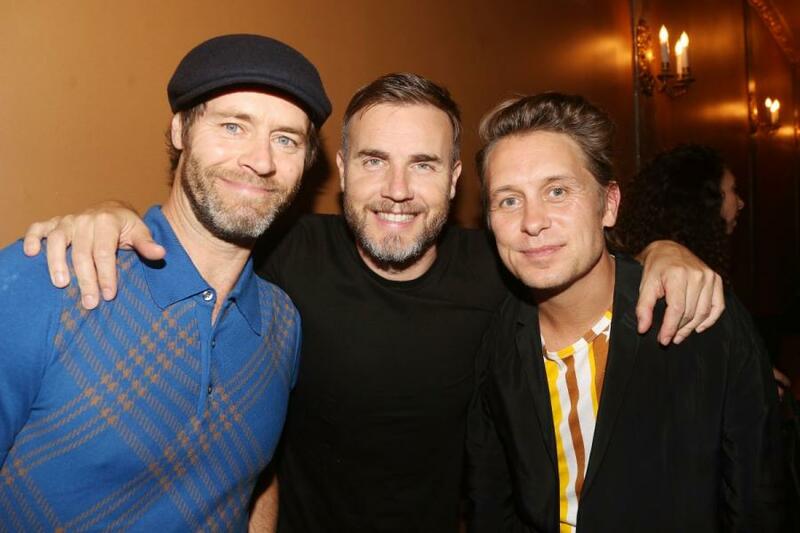 To date, they’ve raised nearly £5 million for the cause – a breathtaking achievement which started out, as the story goes, an aim to simply buy a new sofa for a hospital waiting room. David Pugh announced last night that, based on initial demand already, The Girls will be extending its booking period through to July. And, based on audience reactions and the critical consensus below, I predict that there will be more extensions and much more money raised for Bloodwise. 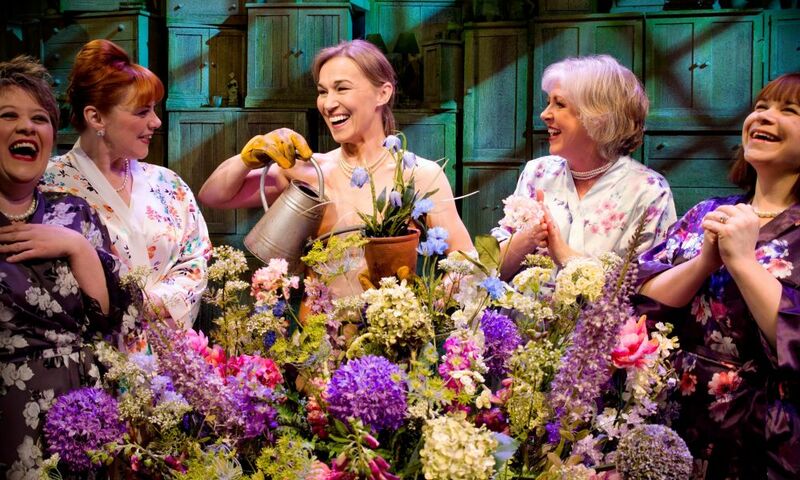 The Girls is at the West End’s Phoenix Theatre. 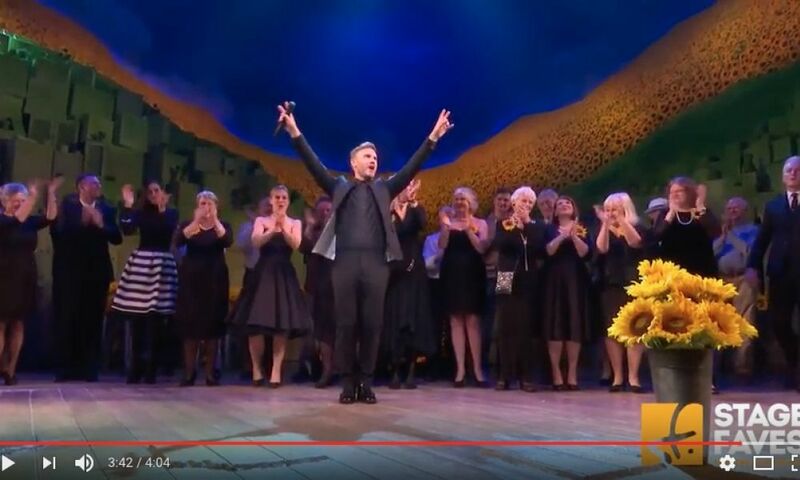 Michael Billington: Gary Barlow and Tim Firth have collaborated on a delightful musical that is far superior both to the 2009 play, Calendar Girls, and to the 2003 movie on which it was based. Rather than seem like a piece of cynical exploitation, the show suggests the story has now achieved its ideal form. 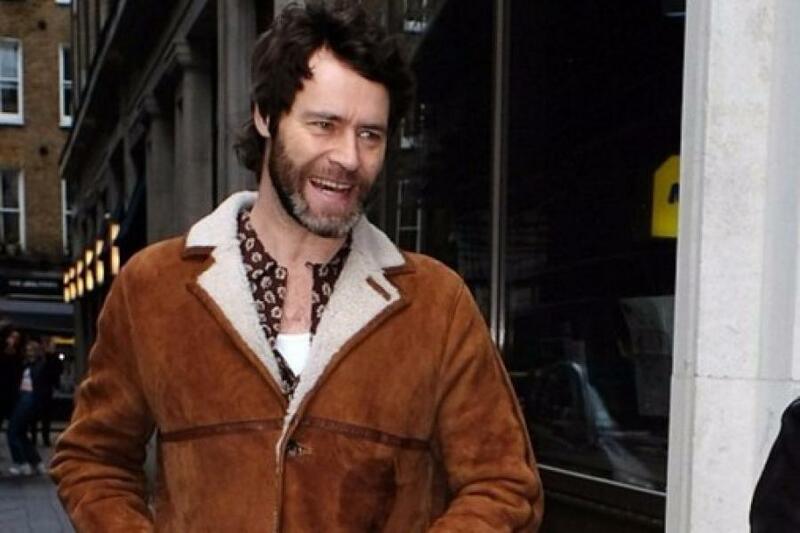 Fiona Mountford: The perpetual problem… has been the inherent lack of conflict in this overwhelmingly feelgood narrative.This new reworking is the most sensible, using the disrobing for the calendar – and the deployment of the best line, ‘We’re going to need considerably bigger buns’ – as an end point. Deirdre O’Brien: One moment you’re wiping away a tear and the next you’re laughing as a hubby tells his wife: “I didn’t fall in love with you for an easy path, I fell in love with you for crazy paving.” Although not the most glamorous musical, it celebrates good old British girl power, and challenges convention (and ageism), like no other. So dig out your calendar and make a date to see The Girls. Paul Taylor: A cynic might say that it was always only a matter of time before we were treated to a musical version of Calendar Girls. 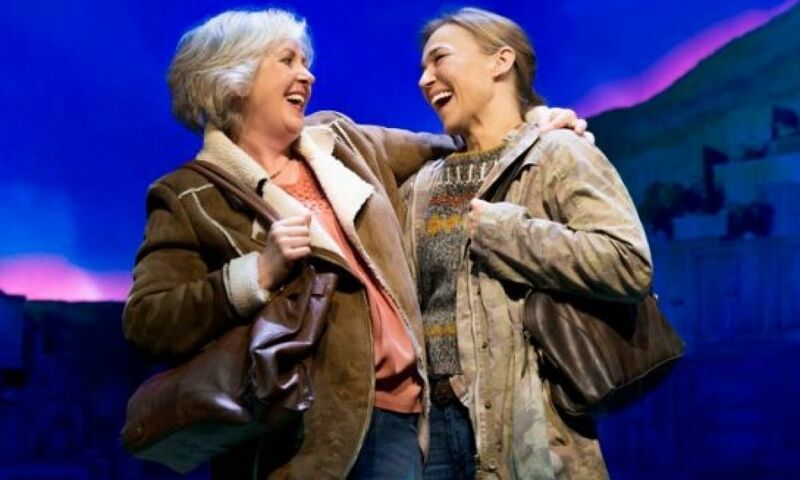 But there is no covering up the fact that this show is a fresh and joyous attempt to reinvent the material rather some tired rehash with songs. Ann Treneman: Looking around the crowd at the Phoenix, it was clear that there is still a real audience for this: women of a certain age were there in droves, ingesting some theatrical HRT for the soul and having a bit of a whoop… As Cyndi Lauper once sang: girls just wanna have fun and that applies no matter what the age. Quentin Letts: With double D-cups of fun and feeling, the good calendar ladies of that Yorkshire Women’s Institute branch have loosened their stays again. 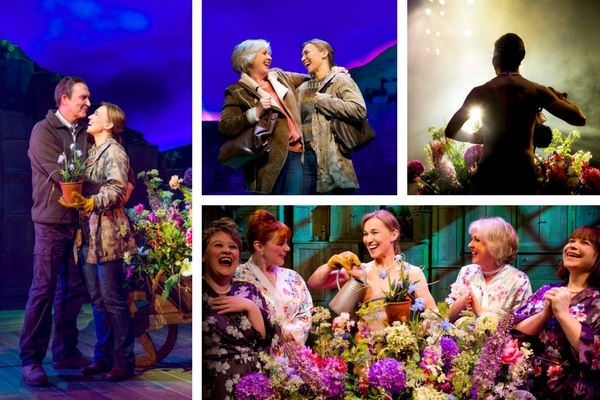 Fruity comic acting, big songs, a judicious mix of schmaltz and Yorkshire salt… What a liberation it is to see sensible, life-loving women showing us their all. 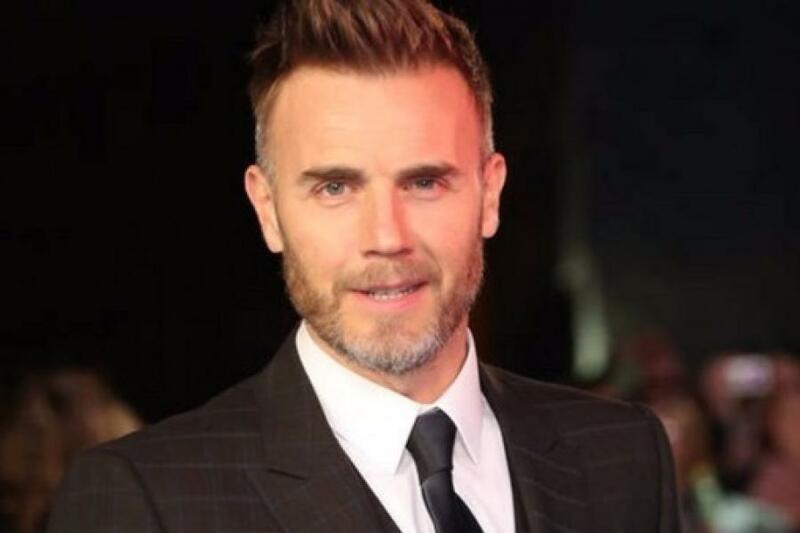 Dominic Cavendish: Gary Barlow has penned a baker’s dozen of numbers packed with more-ish sentimentality and glazed with a feel-good sheen… Not a fully rounded pleasure, but for all its obvious blemishes, it’s still a beaut. 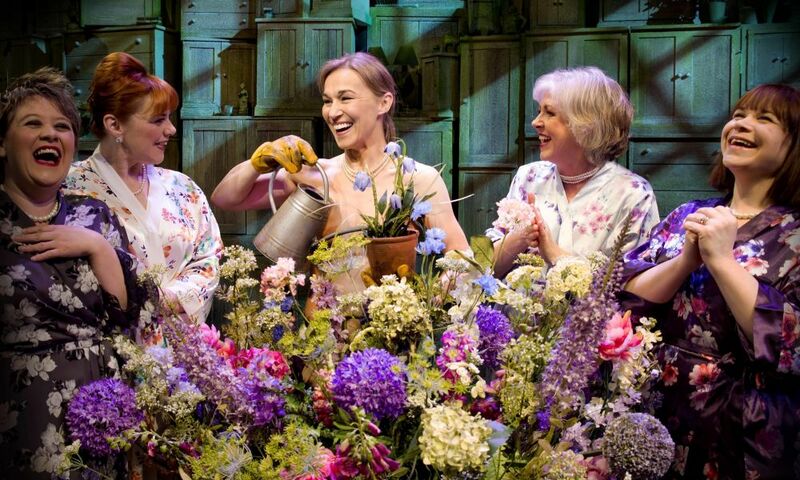 Mark Shenton: There’s a hauntingly beautiful and radiantly lovely performance from Joanna Riding, who we see becoming widowed as her husband John succumbs to cancer, and she is gloriously partnered by Claire Moore, as her best friend Chris, a woman with an effervescent practicality. Andrzej Lukowski: It’s nice but the songs meander and so does everything else: it’s an hour longer than the film, but tells less of the actual story (the musical finishes with the photoshoot; the film deals at length with its aftermath). 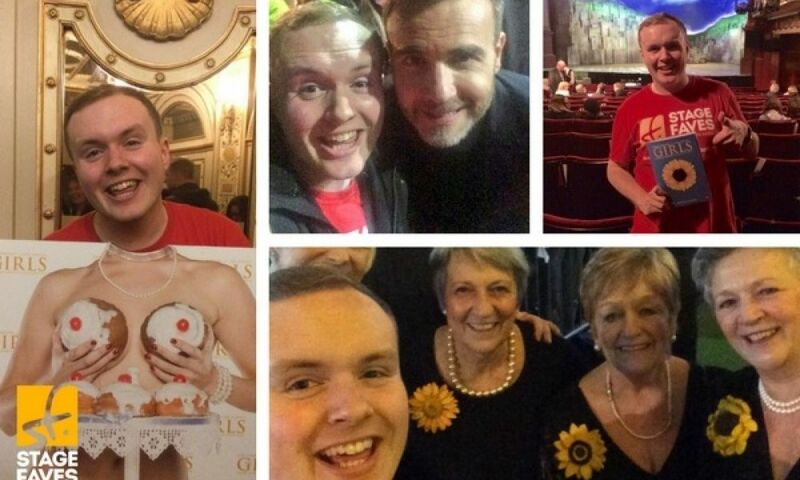 Angela Baker, whose husband’s death sparked the initial pictures from the Women’s Institute that has raised almost £5million for Leukaemia and Lymphoma Research, is keen to team up with the naked stars of The Girls.